Dietary Modification | After the Diagnosis, Then What? 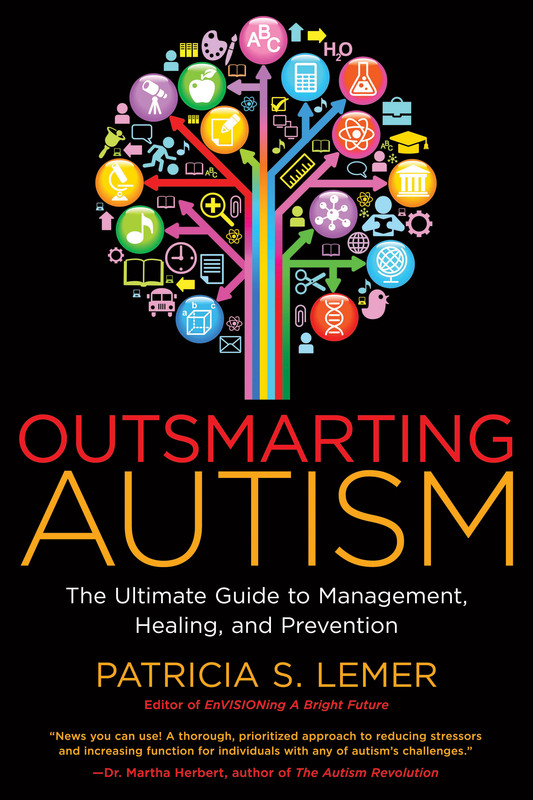 Researchers have learned SO much in the past 10 years about risk factors for autism and other developmental delays that I included the word “prevention” in the title, and devoted a chapter to this subject in Outsmarting Autism. I was thus thrilled when a friend introduced me to a mother who runs a parent support group for families with members on the spectrum. She thought the group a good match as a host for me on my year-long book tour. At least she was civil; the next “push back” was not. The Executive Director of an autism support group cancelled an already scheduled and promoted book signing and talk, because I use the word “prevention” in the title. She accused me of attempting to eliminate individuals with autism. Those who have followed my 40-plus-year career of counseling families of children with disabilities know that my goal is neither annihilation nor elimination, but rather rehabilitation. A year before conception, couples should start thinking about cleaning up their environments, changing their lifestyles, and getting rid of their body burdens. A full year out? Yes, because that’s how long it takes to replace the bad stuff, to learn about the good stuff, and for the body to detoxify safely. The steps I recommend not only improve fertility, discourage complications of pregnancy, miscarriage, and problems during delivery, but also improve the chances of having a healthy baby. Run Laboratory Tests I love tests. For over 30 years I administered diagnostic tests to help parents understand and make informed decisions about their children’s education, health and functioning. Tests only give you information; what makes information powerful is your freedom to decide what to do with it. Here are some tests to consider BEFORE becoming pregnant. None are routine; in most cases, you must discuss them with your doctor. If your doctor refuses to order them, you can also work with Life Extension Foundation, a membership organization. This is a wonderful Florida-based company sells both lab tests and high quality supplements. 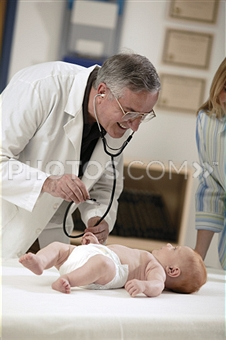 You have the blood work done at a local lab and one of their doctors interprets the results. They make money by selling supplements, but their prices are good, and a bonus is a periodic magazine of research that is worth the price of membership. Identify toxic elements – The earlier in gestation toxic exposures occur, the more detrimental they can be to development. Every woman should know what toxins her body is holding before she gets pregnant, and detox appropriately, to assure that her baby isn’t exposed in those early weeks before a positive pregnancy test. Doctor’s Data Lab offers a hair analysis of over 30 potentially toxic elements, including lead, mercury, arsenic, aluminum, copper, antimony and cadmium to which we are all exposed. According to Phillipe Granjean MD, internationally recognized environmental health expert, and author of the extraordinary book Only One Chance: How Environmental Pollution Impairs Brain Development- and How to Protect the Brains of the Next Generation, this inexpensive test is very predictive of the toxic load a pregnant woman dumps into her unborn baby. Shouldn’t EVERY woman have this test? Screen thyroid function – Low levels of T4 or marginally elevated levels of thyroid-stimulating hormone (TSH) can affect the unborn baby. Environmental toxins are endocrine disrupters. Insufficient levels or even a mild drop of thyroid hormone in the mother at critical stages of brain development can affect cognitive function in the fetus. Have complete thyroid testing done. Once you know your levels, take natural measures, such as adding iodine to normalize thyroid function. Measure vitamin D levels – Every day we are learning about the importance of Vitamin D in health. In 2009 researchers concluded that vitamin D deficiencies in pregnant women should be considered a risk factor for neuro-developmental disorders such as autism. Vitamin D regulates thousands of genes in the human genome. The importance of prenatal, neonatal, and postnatal vitamin D supplementation cannot be underestimated. Vitamin D during gestation and early infancy is essential for normal brain functioning. Insufficient vitamin D is a universal problem. You want your number to be over 30, even though 25 is considered “normal.” 40 is even better! If your level is low, start taking supplements at 2000-5000 units of D3 per day, preferably in more absorbable liposomal drops available from Biotics. Recheck in 3 months. High doses are sometimes necessary for a short time to elevate levels. To learn more about vitamin D, check out the Vitamin D Council. Run an ELISA IgG test for food sensitivities – Your doctor can order this from a local lab. Look for gluten, casein, soy, egg, garlic, and other intolerances. Rotate mildly problematic foods and eliminate those with moderate to severe reactions. Know your genetic profile – Go to 23andME and do a quick gene screening to pinpoint possible difficulties with detoxification. Work with a health-care professional to identify supplements that can remediate glitches called single-nucleotide polymorphisms or SNPs . Run antibody titers – Find out which diseases you are already immune to by running blood titers. Make sure that you are not a hepatitis carrier. Put that in writing to prevent your baby from getting the Hep B shot at birth. Remove any mercury-containing amalgams – Even one or two “silver” fillings off-gas into the mouth with brushing, chewing and drinking hot liquids. Mother’s mercury load crosses the placenta, landing in the liver and kidneys of the fetus. Infants’ levels correlate with the number of amalgams in the mother. Later, mercury shows up in the breast milk, which may provide better absorption of mercury in the nursing infant. Be certain to have amalgams removed safely by a biological dentist. Detoxify the body – Mothers dump a good part of their body burden into their unborn babies. Consider a homeopathic detox program that clears out chemicals, metals, parasites, bacteria, viruses and radiation. The lower your toxic load, the lower the baby’s. Check for retained reflexes– The Spinal Galant and Asymmetric Tonic Neck Reflex (ATNR) assist the baby in maneuvering through the birth canal. Mothers who retain either of both of these reflexes may have difficulty giving birth naturally. The baby may not “drop,” be breech, or require a Cesarean section. Simple reflex integration activities for a month prior to birth can help the birth be smoother. Food – The old saying that goes, “Eating for two,” is correct. Make nutrient rich, not high caloric choices. Say “yes” to 75-100 grams of protein, organic fruits, vegetables, beans, lentils, asparagus, spinach, nuts and free-range, antibiotic-free animals. Say “no” to sugar and its substitutes, wheat, dairy and hydrogenated fats. Say “once-in-a-while” to small, cold water fish and soy products. Take the time to sit down and eat slowly, chewing well. Supplements – While the right, good quality foods can provide much needed nutrition, eating adequate amounts of some nutrients is simply impossible. Contraceptives and other medications can deplete minerals. Calcium, mercury-free fish oils, iron, folate and B vitamins are essential for growing babies. Work with a health care professional to determine the right amount for you. Drinks – At least eight cups of good quality water. No alcohol, sodas (especially diet), caffeinated tea or coffee. Relaxation & Sleep – Learn meditation. Take a yoga class for expectant mothers. Practice daily, breathing deeply. Oxygenation of cells enhances their function. 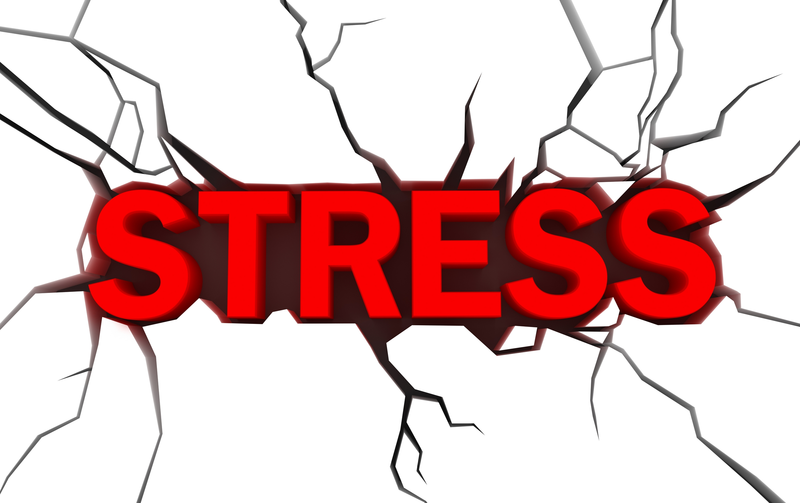 Releasing stress allows the body to put its energy into growing a healthy baby. Turn in before 10:00 pm and sleep at least nine hours. Exercise – Stretch to increase flexibility. Walk or attend a class two or three times a week. How many sonograms do you need? It is really exciting to see a baby in utero, know whether it is a boy or girl, and then call it by name. But, no one knows the long-term effect of sonograms on the unborn baby. A sonogram is sound…sound as loud as a plane’s engines revving up in a baby’s ears. One study showed, the more sonograms, the more likely the baby is to have ear infections. Another showed that babies later diagnosed with autism had endured three or more sonograms. Consider limiting them unless medically necessary, and not do them just out of curiosity. Know the risk factors for autism. Limit exposures to toxins, while maximizing nutrition and health during preconception and pregnancy. Understand how your lifestyle choices support a baby’s health! Every child deserves to be healthy, have the opportunities to develop language, have friends and learn! Autism is preventable! Let’s start now! Fire, Water, Air and Earth: Start Cooking! I just finished reading Michael Pollan’s newest and seventh book, Cooked: A Natural History of Transformation. In it Pollan takes us on an odyssey of the elemental ways in which man cooks: with fire, water, air and earth. After renewing it from the library three times, I finally bought it! Reading Cooked was like savoring a delicious meal…yummy and satisfying. This book is truly transformative! I have been a big fan of Pollan’s since reading The Omnivore’s Dilemma and In Defense of Food. Until now, my favorite was the tiny guidebook, Food Rules: An Eater’s Manual. When people ask me what I eat, I just quote Pollan: “Eat food…not too much…mainly plants.” That says it all. I guess by now you’ve surmised that I love food, and I adore cooking. I am absolutely an omnivore. I’m sure I got that trait from my father who offered up brains, sweetbreads, and liver as if everyone ate them. No chicken nuggets in my house. Pollan begins by explaining that cooking food is what distinguishes us from other animals. EVERY other mammal grazes; we eat meals. That connects and socializes us. All animals eat raw, except when nature “cooks” a forest full of birds, nuts, berries and furry animals in a fire. They then experience the treat of eating roast quail, toasted walnuts, baked apples, and barbequed squirrel. My raw foodies aren’t going to like this next part. Cooking makes us smarter! Digestion is a “metabolically expensive operation,” according to Pollan. Cooking our food before eating it diminishes the energy our bodies must expend for digestion. Cooking plants breaks down the fibers, allowing our not-so-strong jaws and digestive systems to work less hard. And…get this! Where does that extra saved energy go? To our brains! Want to know more about this theory, read Richard Wrangham’s Catching Fire: How Cooking Made Us Human. The first element is fire, the oldest method of cooking. Pollan travels to North Carolina, where we learn from barbeque experts. Roasting meat goes back to the Bible. Remember when entire animals were presented to God as burnt offerings? Water is next; it is used to cook in virtually every cuisine in the world. A universal recipe is: Dice some plants, sauté them in fat, brown some meat, put everything together in a pot of water and simmer for a long time. This is the beginning of the transformation into Indian curry, Moroccan tagine and French cassoulet which all start with three basic vegetables: onions, carrots and celery. Amazing! Air is about baking bread. I’ve never been much of a bread lover, and could never understand why anyone would spend so much time waiting for dough to rise. My impatience and gluten intolerance disallow me from grooving on this section. My favorite section is “earth.” How, you might wonder does earth “cook” food? By fermentation! An ancient form of preservation and transformation, fermenting is making a huge comeback as we are able to identify and control those critters that work their little butts off making cheese, wine, beer and sauerkraut. Eating fermented foods is a natural way of ingesting probiotics. I loved the story of Sister Noella, the cheese nun, who knew just how to make Saint- Nectaire cheese ripen perfectly using ancient wooden molds. One day, the health department showed up and declared the mold “unsanitary.” Sister was told that she must wash them between batches. Wash away years of accumulated families of fermentation bugs? No way! The inspector insisted that Sister trade in her moldy molds for some sanitized ones made out of stainless steel. Here is how this savvy sister solved her problem. She and the inspector inserted the nasty bug e. coli into both the wooden mold and the stainless steel one and waited out the fermentation period. Which batch do you think had the e. coli? Right! The “sanitized” stainless mold still contained the dangerous bug, while it had disappeared from the moldy wooden one! The “good” bugs destroyed the “bad” bug, just as they do in your digestive tract when you take probiotics! I couldn’t help but wonder if Pollan and Donna Gates, developer of the Body Ecology Diet (BED), which emphasizes fermented foods, had ever communicated. I would love to be a fly on the wall when they do! Have a yummy holiday season! Last week, I observed a friend frantically chasing her toddler grandson who had slipped out of her grip, run to a buffet table and grabbed a cookie. “Does it have nuts in it?” she yelled in abject fear to no one in particular. Today, more than 1% of American children, like this little guy, and approximately .5% of adults in the United States are allergic to peanuts. That is an estimated one million kids and three million individuals, who could die by simply breathing the air in a room where someone ate a peanut butter sandwich. When and how did this epidemic develop, and why is it continuing? Most important, what is its cause, and what can we do to stop it? The frightening answers to these questions are in The Peanut Allergy Epidemic: What’s causing it and How to Stop it by Heather Fraser, a Canadian mom whose child had an anaphylactic reaction to peanut butter at 13 months of age. I could hardly put it down! You and everyone you know who, especially your pediatrician, should read it. The “perfect storm” that spawned the peanut allergy epidemic around 1990, (not surprisingly paralleling the autism epidemic) occurs, like autism, in more boys than girls. “Victims” are the same: picky eater kids with lessened ability to detoxify, consuming less nutritious food and receiving an ever-increasing number of vaccinations, growing up in an increasingly toxic environment. My friend, Dr. Ken Bock wrote about them in his book Healing the New Childhood Epidemics: Autism, ADHD, Asthma, and Allergies: The Groundbreaking Program for the 4-A Disorders. Bock knows from his busy practice that many children with autism have severe allergies, including life-threatening reactions to peanuts. Likewise, many children with peanut allergies are diagnosed with autism spectrum disorders, including attention deficits, pervasive developmental disorders, Asperger syndrome and full-blown autism. The commonality, he and others agree: an overburdened immune system. How did that happen? Let’s start by understanding allergy and the ONLY means by which mass allergy has ever been created: by injection. Early twentieth century American researchers, Rachel Carson and Theron Randolph, and a contemporary, MacArthur “genius award” winning biologist, Margie Profet believe that allergy is an evolved, and often risky, protective response: the body’s natural defense against toxins linked to benign substances. An “allergic” reaction occurs when the body is exposed to proteins of unfamiliar foods, triggering immunoglobulin epsilon (IgE) antibodies, the soldiers whose job it to protect the body’s mucous membranes from invaders. When they detect trouble, they deploy a biochemical cascade, characterized by coughing, shortness of breath, itchy skin hives, leaking of blood vessels causing swelling and potential asphyxia, vomiting and diarrhea. Scratching, vomiting, diarrhea and sneezing are a body’s desperate attempts at ejecting a toxin as fast as it can. In severe reactions, blood pressure drops, draining vital organs and causing the heart to stop. The term “allergy” was coined in 1906, only one hundred years ago, by an Austrian pediatrician, trying to reconcile an unexpected reaction to vaccination in some of his patients. The modern concept of allergy grew out of the occurrence of “serum sickness,” a man-made malady. Keep reading. Documented life-threatening mass allergic reactions were rare prior to the late nineteenth century, and first emerged as an “unintended consequence” of a new invention, precipitated by the unprecedented need for pharmaceuticals near the end of the Civil War: the hypodermic syringe. Louis Pasteur was the first doctor to use a hypodermic needle to inject a vaccine: anthrax for livestock, and later rabies to a boy bitten by a dog. Hypodermic needles were quickly adopted as a hygienic improvement over the messy, often dirty, transdermal lances previously used to puncture or scratch the skin to insert pathogens. As demand increased, costs became more reasonable, and production soared. Upjohn and Parke-Davis (both now owned by Pfizer) and Eli Lilly (the developer of thimerosal) were born out of demand for hypodermically delivered vaccines. Their 1890’s marketing methods closely resembled today’s, minus television and computers. Sales reps visited physicians’ offices, leaving promotional literature and samples in lively packaging. And, don’t forget the annual medical almanacs! By the turn of the 20th century, vaccine manufacturing was big business. With an increased demand for vaccines for dreaded smallpox, tuberculosis, diphtheria and cholera, and the realization that a single vaccination did not confer lifelong immunity, the need arose for vaccines that could travel safely and be administered efficiently. Pus and scabs from sick animals decomposed quickly; sick animals were difficult to transport. The answer: preservatives suspended in an antibacterial carrier gel made of vegetable glycerin that extended shelf life and could be delivered by injection. Early twentieth century ingredients included mercury-based antifungals and various oils. Exact ingredients were fiercely guarded proprietary formulas, protecting the scientists, their companies and shareholders by law. A common outcome of the first mass preserved, hypodermically delivered injections of sera for scarlet fever, tetanus and diphtheria was a poorly understood and potentially fatal condition. It was first called “serum sickness,” later termed “anaphylaxis” by French Nobel laureate and immunologist Charles Richet – from the Greek ana (against) and phylaxis (protection) – the opposite outcome from what was expected from vaccination. Symptoms included fevers, rashes, diarrhea, decreased blood pressure, lymph node swelling, joint pain, an enlarged spleen, kidney failure, breathing difficulties, and shock, lasting for days, weeks or a lifetime, and, occasionally, proving fatal. What was causing so many people to get sick instead of stay well? Richet experimented with dogs to find the answer. He injected his subjects with raw meat proteins, and then fed them raw meat. The result was anaphylaxis! Two other researchers did the same, except by injecting egg and milk, showing that without exception, all proteins, toxic or non-toxic outside the body could produce anaphylaxis by injection. Richet discovered that this phenomenon is universal for all animals. Austrian pediatrician Clemens von Piquet and his Hungarian colleague, Bela Schick, studied serum sickness in thousands of children, noting a paradoxical relationship between the two outcomes of vaccination: attaining immunity and acquiring serum sickness. In both outcomes, an incubation period occurs between the initial inoculation and appearance of symptoms. Subsequent injections (just like secondary exposure to infections) are accompanied by an accelerated and exaggerated response resulting from “a collision of antigen and antibody.” This conjecture was confirmed by the fact that in 90% of von Piquet’s patients, immediate adverse reactions occurred following the “booster” injection 10-30 days after the first. In 1934, up to 50% of children experienced post-vaccinal serum sickness. Families were forced to weigh their fears of fatal diseases such as smallpox against the risk of being injured or killed by a vaccine, and choose the lesser of two evils. The only difference from today is that few of these dreaded diseases kill many people any longer in developed countries because of antibiotics. As Richet continued to experiment with cats, rabbits, horses and frogs, he deduced that “digestive juices” were required to break down the protein, and if this did not happen, the body would mount an immune response. Experimental alimentary anaphylaxis is almost impossible to demonstrate in the presence of healthy digestion. The first injection of undigested protein into the blood stream sensitizes and weakens an animal, making it susceptible to a second, smaller dose which then could cause a serious, even fatal reaction in persons with inadequate digestion. Conclusion: healthy digestive juices actively transform potentially toxic proteins, rendering them innocuous, or restated, inadequate digestion is a common sense prerequisite for food allergy. The “ingestion” theory of anaphylaxis has persisted to explain the vast majority of food reactions. Some of these reactions, however, are not life-threatening, but more subtle and hard to pinpoint, such as migraines, skin conditions, fatigue, anxiety, irritability and behavioral problems. Egg was a case in point; why did a young boy suffer from “egg poisoning” in 1908 when nobody had ever injected egg into him? Hmm…Unfortunately, his doctor did not know that for many years prior, emulsified egg lecithin was used extensively in vaccines, and vaccine manufacturers had introduced fertile hen’s egg as medium for growing viruses. What was the link? The answer came in the 1940’s with the discovery of penicillin. When we first examined the peanut allergy epidemic, we recognized the attributes of the perfect storm for the “victims.” With the discovery of penicillin in 1928 by Scottish biologist Alexander Fleming all the pieces of the “perfect storm” for the “weapon of mass destruction were in place: a pathogen suspended in an injected or encapsulated undigested protein from oil. Both oral and injected forms of penicillin contained a new ingredient, cottonseed oil, a product whose proteins are considered potent allergens. 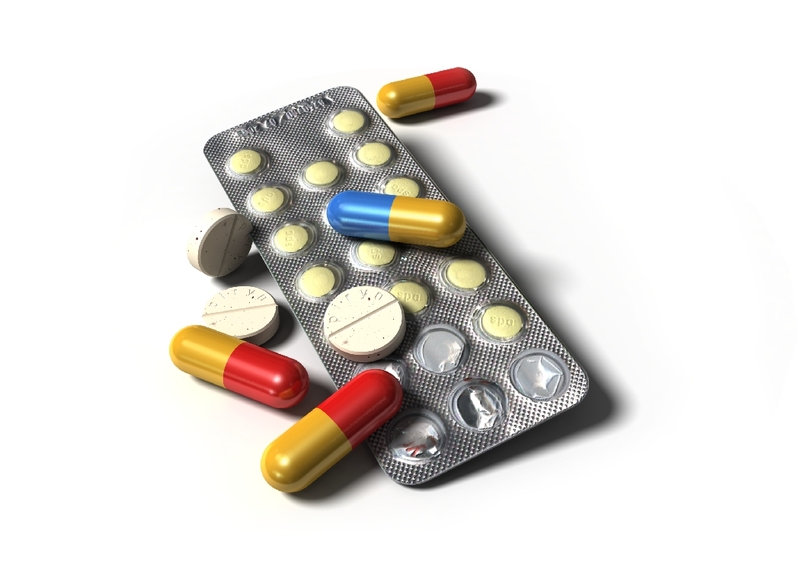 A gelatin capsule sealed the drug, which was not released until it reached the small intestines, bypassing the modifying effects of digestive enzymes. I’m sure by now you can guess what happened! From the 1930’s through 1950, sensitivity to cottonseed oil grew, as did penicillin allergies. Scientists sought a cheap, plentiful replacement. You guessed right again. After World War II, the all-American peanut replaced cottonseed as the oil of choice in the manufacturing of penicillin and in almost all vaccines! It was plentiful, inexpensive, stable in heat, and during the war, patriotic. By 1953, Pfizer and others produced six hundred tons of penicillin, laden with peanut oill mixed with beeswax (POB for penicillin in oil beeswax) to coat the penicillin particles in a concoction known as the Romansky formula. As the body metabolized the wax and oil, the drug was released into the system. By the mid 1950’s, an estimated 2.5% of all children had developed an allergy to injected penicillin. Scientists reduced the amount of beeswax and oil in an attempt to reduce and eliminate undesirable reactions, such as fatal anaphylaxis, antibiotic resistance, fungal overgrowth and dysbiosis. Then came a new formula mixing penicillin with aluminum monostearate (PAM), also suspended in peanut oil. PAM was the delivery of choice from the mid-fifties through the 1980’s. More frequent and more severe allergic reactivity, including anaphylaxis emerged during what was dubbed “the PAM era.” Penicillin had created an unparalleled outbreak of allergies and anaphylaxis. During the late 1940’s and throughout the fifties, peanut oil in penicillin was not suspect. It was used not only in this wonder drug, but in streptomycin, broad-spectrum antibiotics, injected epinephrine for asthma, in anesthetics and vaccines. Unknown to consumers, peanut oil was a popular ingredient in vitamins, skin cream and even infant formulas! Prior to 1941, the literature shows no report of peanut allergies in adults or children. A survey of people showed self-reported peanut allergies in .3% of those born 1944-47, .4% of those born 1948-57, and .6% between 1959-67. In 2008, over 1% of people born 1944-67, reported allergies to nuts, including peanuts. Articles published in the late 1950’s and early 1960’s show a growing awareness of peanut allergy, but the first formal study of peanut allergy in children was not launched until 1973, and then on only 114 kids. Doctors watched the mysterious rise in peanut allergies, but few asked “why?” By the early 1990’s tens of thousands of peanut allergic kindergartners entered school, not only in the U.S., but in Canada, the United Kingdom and in Australia. This allergy accelleration was concurrent with an unprecedented push of political, social, legal and economic reforms to alter and accelerate the vaccination schedule in these countries. In 1964, pharmaceutical giant Merck announced a new vaccine ingredient promising to extend immunity: Adjuvant 65-4, containing up to 65% peanut oil as well as aluminum stearate. An adjuvant (from the Latin “adjuvare,” to enhance) is a vaccine additive that stimulates the immune system, upping the body’s production of antibodies to a pathogen. Adjuvants reduce production costs as the vaccine maker needs less of the expensvie antigen; they also increase a vaccine’s efficacy. The can also be dangerous; the more effective a vaccine, the greater the risk of allergies and other adverse effects. The inventor of Adjuvant 65-4, Maurice Hilleman and his colleagues at Merck knew that allergic sensitization to the peanut oil in the adjuvant was a distinct possibility, but considered toxicity and allergenicity inevitable outcomes of vaccination. It was simply difficult to balance potency and safety. The public clearly did not know what was being injected into their children, called by immunologist Charles Janeway, “the immunologist’s dirty little secret.” The peanut allergy epidemic in children was precipitated by vaccines. Lawsuits ensued, especially related to the DPT vaccine. By 1985, over 200 lawsuits were pending against four vaccine manufacturers. This litigious environment caused many pharmaceutical companies to abandon the lucrative vaccine market, causing a vaccine shortage. A solution: combination or conjugate vaccines. Vaccines were combined for convenience. With speed and efficiency the U.S. Pediatric vaccination schedule took off, helped by President Clinton’s Childhood Immunization Initiative in the mid-nineties. By 1998, childhood vaccination rates were at an all time high. So was the incidence of peanut allergy in children. Between 1997 and 2002, the peanut-allergic pediatric population in the U.S. grew by and average of 58,000 children a year, and doubled between 2002 and 2008. By 2008, more than one million children under 18 and another two million adults were allergic to peanuts in the United States alone. According to Heather Fraser, “vaccination was the elephant in the middle of the room. Researchers glanced at it, knew it was there, but were reluctant to get too close.” The possibility that hundreds of thousands of children have been sensitized to peanuts by ingredients in one or more routine pediatic vaccinations is just too much to conceive. But it is too obvious to deny. The real clue is the sudden rise in peanut allergy following the escalation of the pediatric vaccine schedule. Most peanut-allergic patients have IgE antibodies against other legume proteins, including soybeans and other oil seed proteins, such as castor. At the same time that the vaccination schedules were accelerating in the mid-1980’s, doctors in the U.S. and many Western countries added a prophylactic injection for newborns. The purpose of this shot was to prevent hemorrhagic disease in newborns (HDN) or vitamin K-deficiency bleeding (VKDB). The two available brands contained castor seed oil, as well as aluminum, a well-known IgE stimulating adjuvant, 4% of which remains in the body indefinitely. These ingredients remain in the body for an extended period of time, and are still being released as a baby receives its first Hib, DpaT, and Hep b shot at one or two months of age. IgE to castor could cross-sensitize a child to peanuts. Why don’t ALL children react to peanuts? Ken Bock and other doctors treating children with autism spectrum disorders believe allergenicity is inversely related to an individual’s ability to detoxify. 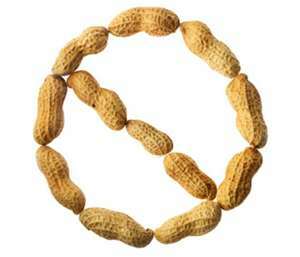 Children with peanut and other allergies have compromised immune systems and are poor detoxifiers. Most have gut problems, including fungal and other infections. Most are male. Screening children before each vaccination could help, but is antithetical to the goals of mass vaccination. Obviously, the “one size fits all approach to vaccination is simply not right. We have sizes of shoes, different ages of walking, teeth eruption, speaking and reading. We need to look individually at appropriate vaccine schedules. But why should the burden be on the consumer and a family’s health-care providers? Clearly, vaccine manufacturers must take some responsibility. Right now they are basically financially exempt from ANY damage. Why? Because vaccines are BIG business tied to the military and school admission. Furthermore, from an economic standpoint “food allergy” is BIG business. Think of all the enterprising companies producing peanut-, gluten-, casein-, soy-, and egg-free foods. Do we want to put them out of business? Hardly. The biggest problem though is that it is virtually impossible to prove a causal link between vaccination and a later life-threatening allergy, even though the medical literature demonstrates that the ONLY means by which immediate and mass allergy has ever been created is by injection. Starting with combining the hypodermic needle and vaccines at the end of the 19th century, mass anaphylaxis exploded into the Western world. We MUST have a formal study of vaccinated vs. unvaccinated populations. For starters, peanut allergy is virtually unknown in Amish communities, which discourage vaccination. Now that parents of children with autism are selecting not to vaccinate subsequent children, perhaps a target group is emerging. The National Vaccine Information Center (NVIC) has promised to pursue this research. Let’s hope it comes soon! So for today, parents of peanut-allergic children are coping. Some have discovered ways to lessen their kids’ reactivity with energy medicine, acupuncture, NAET, and other alternative medicine techniques. But coping with an outcome that was forced upon them is unfair and insufficient. These parents must combine their forces as has the autism community and say “Enough!” Only then can we stop this runaway train. I’d passed the sign hundreds of times: “Round Hill Park.” Some day I’ll check it out, I’d promised myself. That day was last Tuesday. 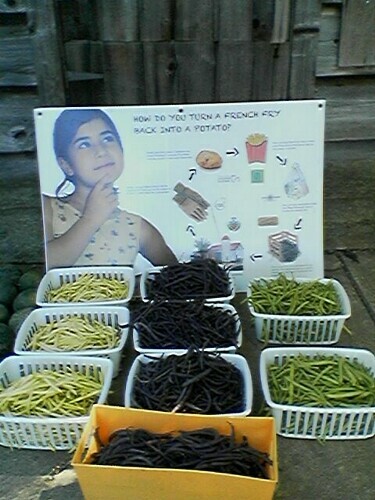 I spent a gorgeous late summer morning and early afternoon picking organic beans. Thousands of beans. Fistfuls of beans. Green, yellow and purple beans. Joining me were Bryan Ritti, farmer, and COO of FarmsCorps, Inc., a social enterprise created to support aging farmers, local food banks, and regional agriculture organizations. This summer he and Chelsea Attwood have co-managed the farm operation at Allegheny County, PA’s Round Hill Park, an oasis south of Pittsburgh, just off of Route 51, near Elizabeth. Bryan spent two years in a monastery, so the solitary life of a farmer is natural to him. Like many of today’s new breed of young farmers, he is smart, dedicated and passionate about living off the grid and off the land. For lunch he devoured raw kale on homemade almond bread and chased it with a just-off-the-vine super ripe tomato. Also picking was Lauren, an educator from the Outdoor Classroom. She is also a gleaner for the Greater Pittsburgh Community Food Bank, one of the lucky recipients of the bounty produced at Round Hill’s cultivated acre of fruits and vegetables. Organic kale, okra and string beans are a far cry from the rotten apples I saw the last time I volunteered at a local soup kitchen. Thanks go to the Pennsylvania Association for Sustainable Agriculture (PASA) for this outcome. PASA, one of the largest state organizations supporting farmers and a sustainable lifestyle is remarkable also. They provide mentors for young farmers like Bryan who have chosen farming as a vocation. So why am I spending a day picking beans? First, it is a delightful way to soak up, instead of supplement, my deficient Vitamin D. Second, Bryan and his contemporaries interest me because, I believe they hold the health of the next generation in their hands. Today’s new farmers live and breathe the mantra of “Eat fresh and local.” My car sports a bumper sticker with that message. In season food that has traveled only a short distance tastes better. Food that comes from your neighbors supports your local economy. Bryan and other twenty- and thirty-somethings are the parents of the next generation . It is THEIR health that will determine the health of their children. If they are toxic from pesticides, PCBs, phthalates, mercury, lead and aluminum, they will dump their personal toxic loads into their unborn children. If they are health conscious, eating organic vegetables, using natural personal care products and cleaners, avoiding fish and other products with heavy metals and watching their electro-magnetic fields, their offspring will be healthy. It’s that simple! Bryan and his buddies have big plans. FarmCorps, a not-for-profit modeled on the Peace Corps and Americorps. It collaboratively provides the critical labor needed for farmers to increase scale and diversity of production. As a social enterprise project of New Sun Rising, FarmCorps serves local farmers while providing experiential learning and training opportunities in sustainable agriculture – from agri-tourism like the exhibit at Round Hill Park to farm succession. Crops produced in specialized FarmCorps programs are donated for public benefit as a part of FarmCorps’ aim to serve southwestern Pennsylvania through strengthening the local food system. Inherent in FarmCorps’ mission is providing training and vounteer people power for the aging farmer families. Hopefully fewer will not have to yield to pressure of real estate developers to sell their family farms and succomb to suburban sprawl. With the lofty goal of providing services in all 50 states, FarmCorps is just getting organized. When I suggested to Bryan that his farms would be viable potential homes for workers with autism, he lit up like a Christmas tree. “Putting marginalized populations to work is one of our goals,” he said. In the next year, DDR is going to be exploring connecting with organizations like FarmCorps to delve into opportunities for inclusion of adults with disabilities. In addition, we will be meeting with trend analysts to determine how to connect with tomorrow’s parents to investigate avenues for educating them about having healthy babies. In the meantime, shop locally, eat seasonally, and enjoy the gorgeous fall weather.